Get low, fixed natural gas rates in New York with Direct Energy! Our Live Brighter Plans allow you to lock in a specific New York natural gas rate the entire length of your contract. Our fixed New York natural gas rates give you freedom from seasonal price fluctuations imposed by your utility company. We offer 4 different contract options so that you can choose the term that makes sense for your life. Thanks to deregulation, you have the power to choose the New York natural gas supplier that fits your lifestyle the best! 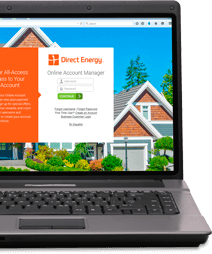 Switching to Direct Energy is easy, convenient, and secure, whether you order online or over the phone. You'll never experience any change in your power during the switch to us and will continue to be billed by your New York supplier. Not in Con Edison Gas? Please Enter Your Location We would like to provide you with the most accurate information on on our offers, including available plans and pricing. Please enter at least your zip code, but you may also enter your complete address for more detailed information.